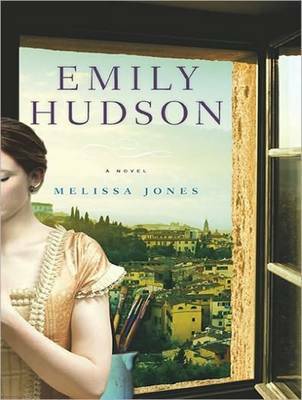 One of my favorite books of 2010 was Emily Hudson by Melissa Jones. She’s been kind enough to answer some questions. Amy Steele: Why did you want to write a book based on Henry James’ relationship with his cousin? 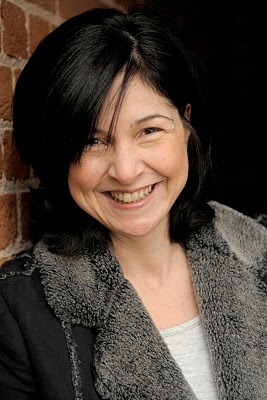 Melissa Jones: I have always been interested in Henry James’ work – particularly his attitude to his heroines. I did already know of Minny Temple’s reputation as James’ muse, but when I read Lyndall Gordon’s biography, she came alive for me – not as a tragic sacrificial image but somebody of immense life and energy who had the misfortune to die young. Steele: Henry James has written some strong and memorable female characters. Why do you think he was successful in writing women? Jones: He was successful because he was a great writer. I think he was also very much in the thrall of women – but at the same time wary. The distinctive way he evokes and then punishes women in his fiction seems sinister to me and denotes a kind of obsessive/carnivorous interest. Steele: What attracted you to writing historical fiction? Jones: It was Minny Temple’s story – I tried not to think of it as historical fiction or I would have lost my nerve. But I have always been a tremendous fan of the nineteenth century novel: the plots are so gripping and the period was one of immense change. Steele: How did your writing process differ from your previous works of fiction? Jones: I read the biography and at first thought of adapting it for the screen. But then the idea began to change from a straight translation of a true story and took on its own life. The inspiration was James and Minny Temple, but the themes are both contemporary and historical, I think. Once it was established in my mind I tried to write as I had the other books. Steele: What was the greatest challenge in writing a work of historical fiction? Jones: To avoid pastiche while feeling true. I wanted it to be believable but not overly concerned with style and of showing off research. The story was the most important thing. Steele: What type of research did you do before writing the novel? Jones: Having read so many nineteenth century novels (some in themselves, historical for their time) I felt I had a solid grounding in the way the world worked and how people spoke and behaved. I backed this up with online research and trips to the Cambridge University library – but a lot of that came up while I was in the process of writing. The book is a work of the imagination primarily. Steele: Some novels of historical fiction contain too many extemporaneous details. How did you edit what to include and what not to include in order to fully develop the characters and to allow the story to move along at a reasonable pace? Jones: I agree that ‘period detail’ can often do nothing but show the author’s knowledge: so I tried to follow the example of actual nineteenth century novels and concentrate on the story. Once the parameters were established I focused on the plot and characters and hoped that the reader would ‘see’ it as I did. No character ever sees themselves as part of history – they are just living their lives and that is what I wanted for Emily. Steele: What do you like best about your character of Emily Hudson? Jones: Her courage. Not only to be forthright and to battle her illness, but to learn from her mistakes. Steele: What characteristics of Emily’s do you feel are most unique? Jones: Her irreverence. I read Minny Temple’s letters and I think people always think the inhabitants of the past were somehow different from us and all terribly proper – she wasn’t at all. That was why she got in such trouble, obviously, but it is a very refreshing and I think moving part of Emily that she is so determined to be ‘true.’ Today it is also easy to be confined by convention. Steele: It’s interesting that you include a close relationship between Emily and her doctor that she sees about her consumption. What interests you about TB back then? Steele: Emily is such a strong feminist for her time and nearly any time. What type of challenges would a woman like Emily have faced in upper-class England or Boston in the mid-19th century? Jones: I think the main challenge was of self-determination without money. While that is also a great challenge today, many women can make their way in the world unimpeded by such obvious disapproval. I don’t think Emily would see herself as a feminist – she just couldn’t help but be herself, and that was also to do with her upbringing. Steele: I liked that Emily Hudson is historical fiction but doesn’t read like a classic. How did you keep the tone contemporary while still adding plenty of historical elements to the story? Steele: What inspires you to write? Jones: I am compelled to write as all writers are, I think. This entry was posted on January 26, 2011, 20:01 and is filed under Books, Interview. You can follow any responses to this entry through RSS 2.0. Both comments and pings are currently closed.